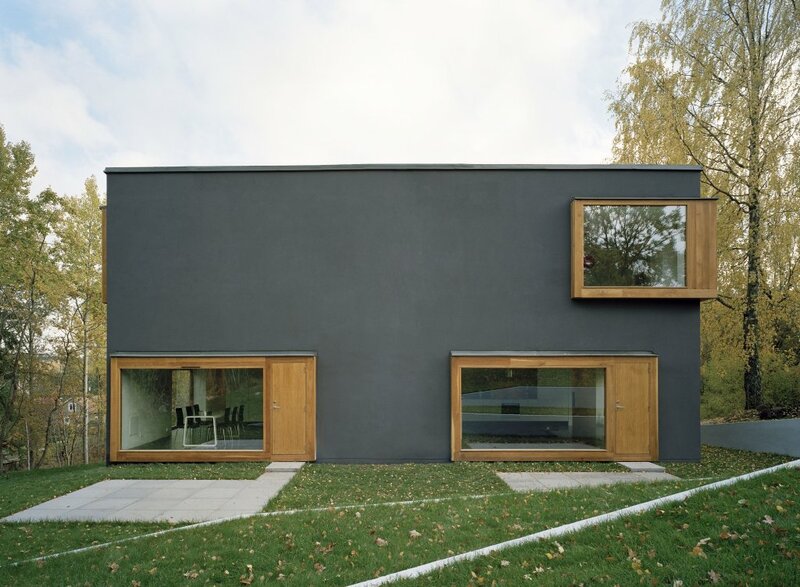 The typology of duplex homes is unusual in the history of Swedish architecture, partly because scarcity of land has seldom been a factor. 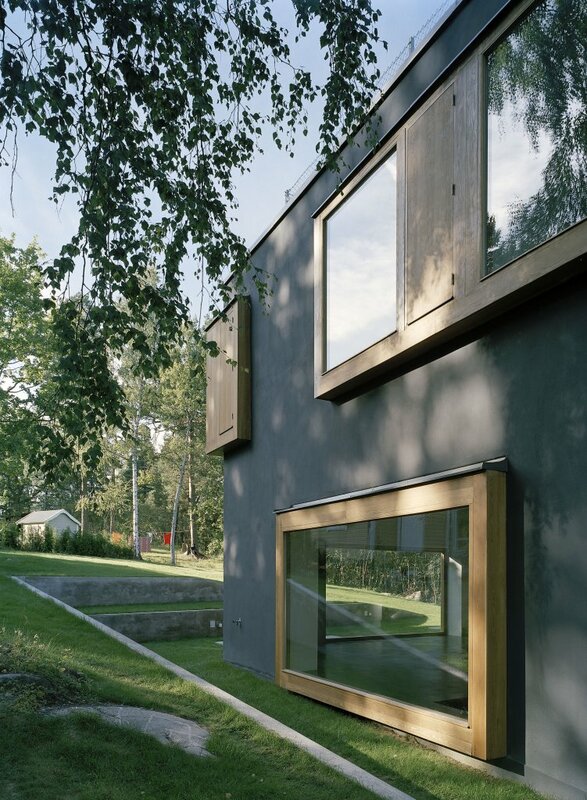 The client aimed to build two large homes on a narrow site next to a small forest, located on the edge of an old residential area outside Stockholm. 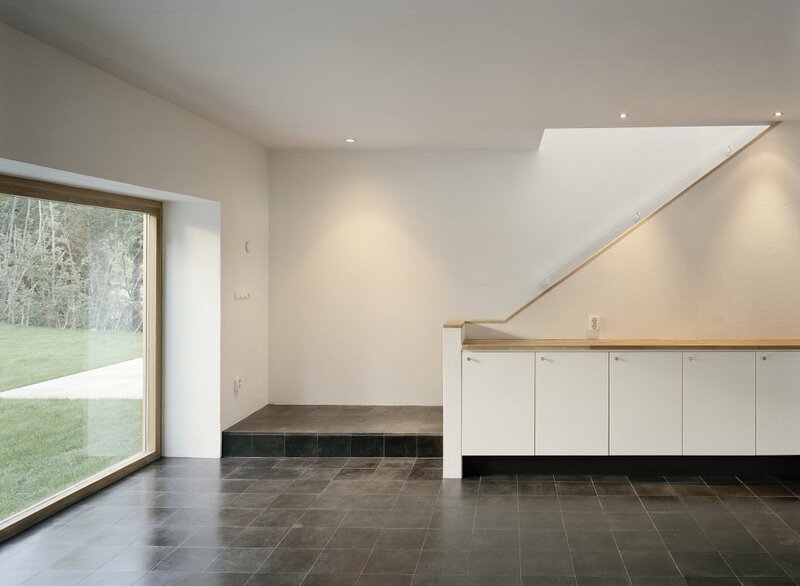 The building envelope was utilised to its farthest extension in its width, the maximum area that still complied with the local building regulations. 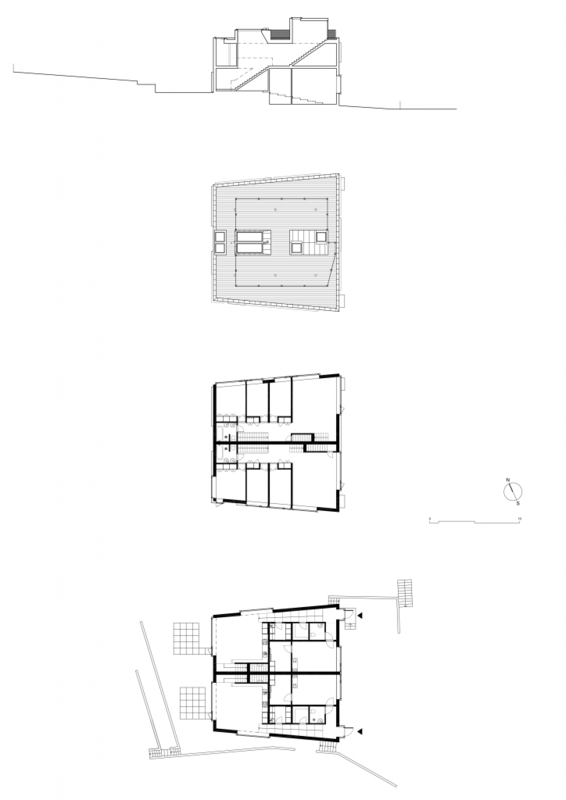 The house is organised as a spiralling sequence of four large rooms on four levels. 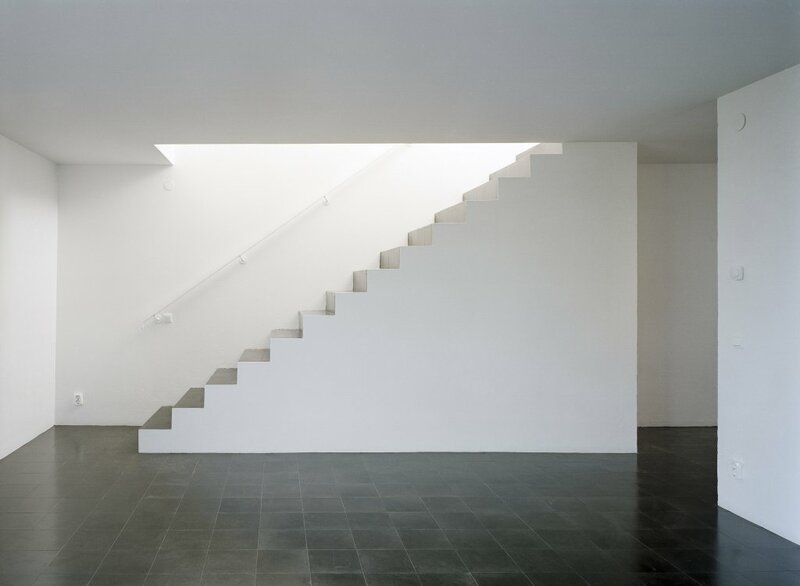 The large spaces in this house have no particular hierarchy, inviting the inhabitants to organise their own lives, each according to their own preference. More or less identical in plan, the two units contain some variations to accommodate differences in orientation, light and views. As a result of the existing topography, spatial variations were developed. The four meter ceiling height at the entrance level and the vertical passage up to the horizontally extended spaces, opening up towards the surrounding greenery. 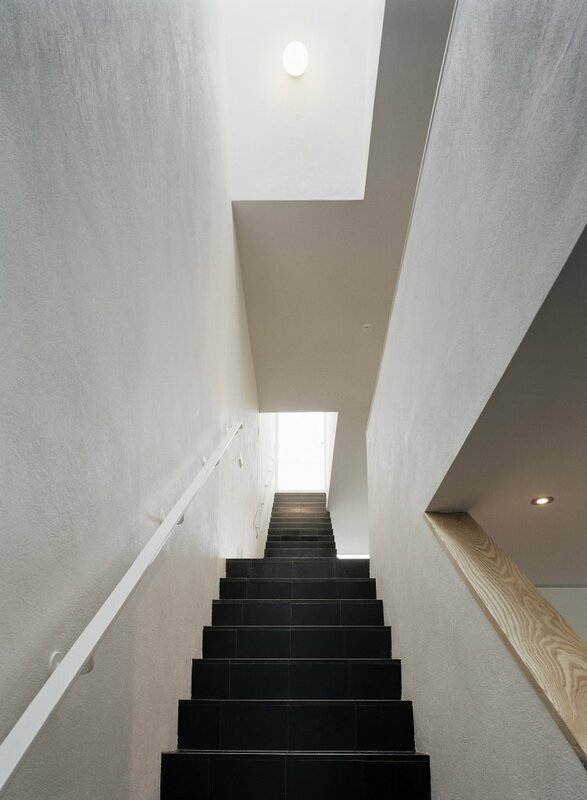 The large upper room makes the link to the roof terrace – the largest social area in the house. Construction is in situ cast concrete. The facades are rendered in dark greyish blue plaster. 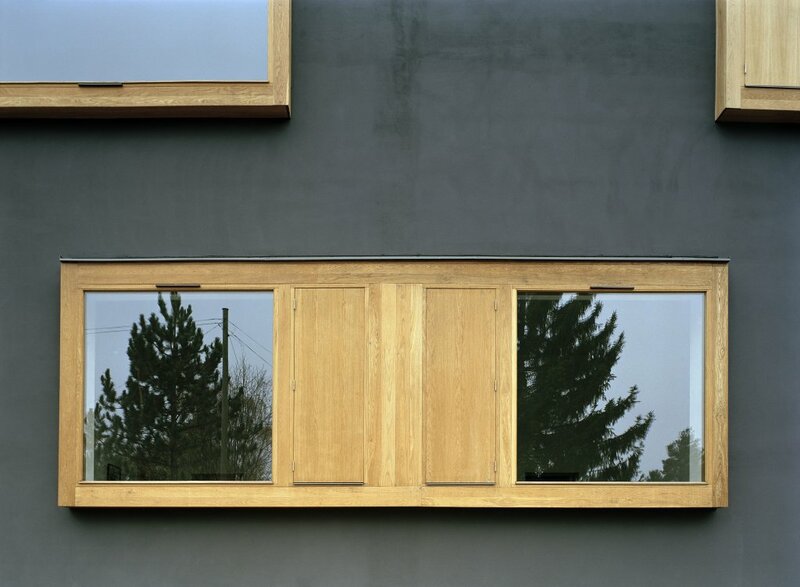 Protruding window boxes made of oak add a three-dimensional quality to the facade and also articulate the depth and solid character of the interior. 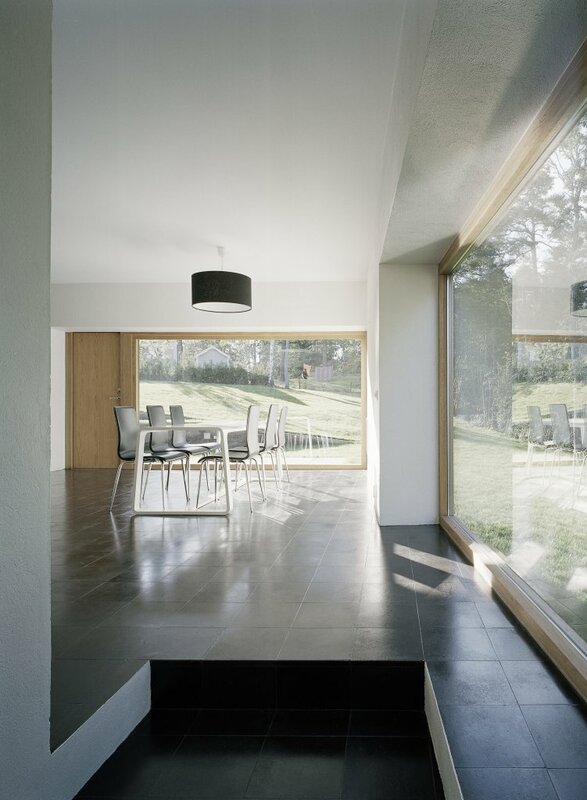 All glass panes are fixed with wooden side vents and doors.